Thanks for your interest in working at Mountain Camp. Below are descriptions of the positions & compensation we offer at camp. Depending on the hiring process, these positions may or may not be open. The titles below are the “positions” that you will need to choose when you complete the online application. Please email Dave if you have any questions. Apply HERE! If you have never worked at Mountain Camp before, this is for you! Cabin counselors are responsible for the care and supervision of the campers in all aspects of the program. Depending on the period of the day, they lead their cabin group, lead activity groups or areas, supervise general areas of camp, or execute special parts of the program. They build positive relationships with campers and serve as role models and authority figures. If you have worked at Mountain Camp before, this is for you! Returning Counselors have the same job description as new counselors, but also serve as mentors to first time staff, and have the opportunity to apply for more responsibility by adding a Coordinator or Specialist role to their job description. 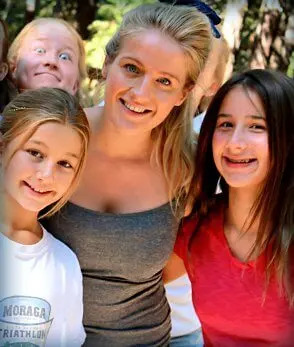 (Must be a returning counselor) The Head Counselors are the primary support system for cabin counselors, and are responsible for providing supervision, guidance, structure, and support as needed. They are the primary contact for counselors concerning issues with campers/cabins (i.e. homesickness, bullying, etc. ), coworker dynamics, or personal needs. They generally oversee their respective sides of camp, and ensure that counselors are able to excel at their jobs. Head counselors communicate with Program Directors regarding issues with counselors and campers. Coordinator responsibilities are in addition to cabin counselor duties and are most often filled by returning counselors. Outside of their major role, Coordinators spend the rest of their time doing the same tasks as all other cabin counselors. Specialists are not in-cabin counselors, but they may move into cabins to assist if needed. Specialists have a wide variety of responsibilities and tasks that assist the program in crucial areas. In addition to the major roles listed below, other tasks may include, but are not limited to: assisting with Evening Program set up and clean up, in-between sessions bus and airport transportation, leading Night Life activities for cabins after Evening Program, eating meals with specific age/gender cabins, assisting counselors with camper and cabin issues both directly and indirectly, unscheduled driving as needed and other small tasks that keep camp clean, safe, and running smoothly. The daily and weekly schedules of the Specialists can differ from cabin counselors, and most specialists will work in-between sessions, having their weekly day off with the “Work Crew” during the week. Most, but not all, of the roles below can be done by either Coordinators or Specialists. Please read the descriptions below for more information. When applying, please refer to specific role(s) you are interested in, in addition to whether you’d like to be a Coordinator or Specialist. This position executes the daily mail and store run to Pollock Pines and sometimes beyond. Purchase any necessary supplies while in town daily and run errands as necessary. Must be at least 21 years old and have a clean driving record. This position also transports campers and staff as necessary in-between sessions. Work with Program Director to plan and implement all Evening Programs (EP) and other Specialty programs. Train staff on songs and skits. Plan weekly EP schedules and assign staff. Oversee all aspects of EP including planning at rest time, set-up and clean-up, management of staff, costumes, and music. Make necessary announcements and Emcee the proceedings. Continuously improve programs and develop new material. Work 3-4 periods/day at A&C, oversee organization and cleanliness of area, manage purchasing, schedule all period activities, train all activity staff on projects. Come up with new/creative ideas. Clean, repair and maintain all bikes. Organize bike shed. Maintain existing Mountain Bike trails and development of new trails. Coordinate ordering of supplies with Program Directors. Work with Program Director to train other CIT staff and implement program. Be in cabin with CIT’s for all applicable sessions. Lead Out-of-Camp CIT trips. Coordinate White Water Rafting trip with Program Director. Be available to adapt program as necessary. Work with other counselors on Little Cabins, Blazer Activities, Camp Dances, etc. Schedule CIT’s with their little cabins. Coordinate the Mountaineer Program (must be a returner and a current Mountaineer). Oversee all aspects of Ropes Course (safety, equipment, staff training, staff management, and daily implementation of the program). Run the Ropes Program during all 4 daily activity periods and any specialty periods as scheduled. Plan and execute overnight kayak trips for 2-week campers. Work with counselors and campers to ensure they’re packed and prepared for the trip. Manage necessary equipment & supplies for overnight. Obtain Fire Permit. Clean and organize outings shed and equipment. Mountain Camp employs three Health Care Staff during all sessions. Health Care Staff work may work as few as one or two weeks, or the full summer. We hire RNs, MDs, DOs, EMTs and Paramedics. Please email inquiries to dave@mountaincamp.com. The following is an outline of our pay scale for summer staff. The pay scale is our way of making salaries consistent for the entire staff. However, if you have unique qualifications not stated in the outline, please contact our office to discuss your situation. All staff who work the full 11 weeks (6/9-8/24) are eligible to receive a $100 bonus. ALL staff MUST be 1st Aid and CPR Certified before arriving at camp. We look forward to reading your application and will contact you if you are selected for an interview. 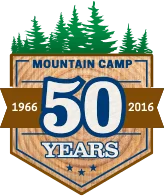 In the interim, if you should have any questions or require additional information please do not hesitate to contact dave@mountaincamp.com.